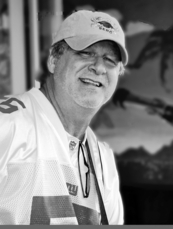 Established in 1999, you will find this band in the “Tiki Bars” and lounges in and around the Annapolis area. You can almost always bet that you will catch them once or twice a month at southern Maryland venues like Pirates Cove, Big Mary's Dock Bar, and Skipper's Pier. 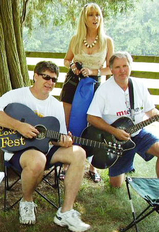 The Vicki Roberts Band also performs regularly at The American Legion in Laurel, and Ramshead venues in both Crownsville and Savage Mills. From acoustic, electric, congas beats, and background sequencing which are custom mixed, this band can put out sounds from lounge to a full dance band. Playing the dock bars, dance scene and don't forget private parties- this band is versatile and fun! Vicki's father sang throughout her childhood, has and always will be an inspiration. 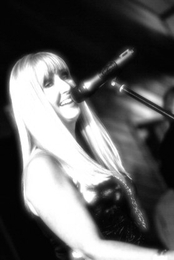 Vicki didn’t start putting her vocals to the test until she collaborated with Rob in 1999 and together they started out with much of the Blues and Classic Rock tunes you still hear from them today. Her voice albeit having a “bluesy” range greatly compliments Stevie Nicks, Natalie Merchant, Melissa Etheridge, Sheryl Crow and even Janis Joplin. Don’t think this girl just sings from the female perspective. Lynard Skynard, Joe Cocker, Grand Funk Railroad, Led Zeppelin, Kenny Chesney, Eric Clapton and Doobie Brothers to name a few come out to play every performance and Vicki sings them all. 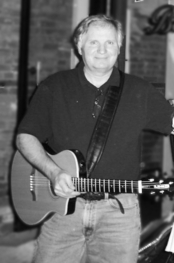 Rob adds acoustic, electric guitar and backing vocals to the band. Rob’s talents are many. He has added the midi wind instrument to the band and has put together many of the beats you hear from the background sequencing that this band uses in about 50% of their performances. Rob performed in his own band for 15 years and in 1999 joined forces with Vicki to put together the acoustic duo act that was The Vicki Roberts Duo for 4 years. Rick played drums as a kid and has always loved percussion. He joined The Vicki Roberts Band in 2003 and compliments the band with his Conga beats. You will also see him playing acoustic guitar and bass. Rick’s talents don’t stop there. He ran sound for The No Brainers and continues to use his love and talents for sound in this band. Rick’s beats have brought a “full” sound to this band and sometimes closing your eyes, you would never believe there were just three of them. Hence with the addition of Rick, this band became the Vicki Roberts Band”.